British trio blending shimmering sci-fi explorations, cinematic landscapes, pulsing electronics, mammoth riffs and pounding drums. Focused and energetic, Three Trapped Tigers are a musical tour de force. 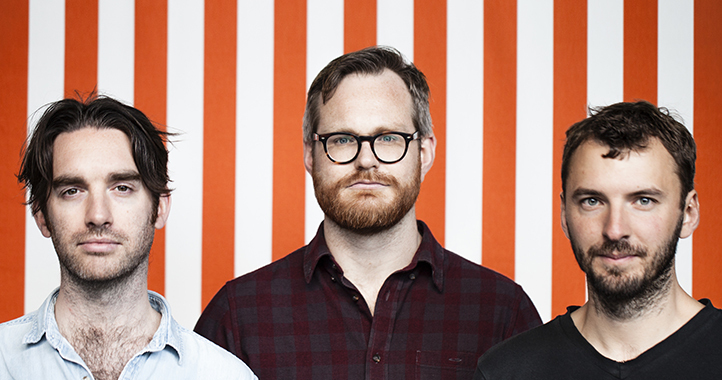 Three Trapped Tigers will perform at Nefertiti, Thursday October 4th at 21.45. Contemporary ensemble Dog Star Orchestra blends offbeat performances in out-of-the-way places with traditional concerts, presenting experimental music by young composers and pieces from the experimental tradition. Dog Star Orchestra will perform at Nefertiti, Friday September 28th at 20.30. Blending musical traditions like baroque, Persian traditional and jazz, Norwegian musician and composer Jon Balke’s orchestral project Siwan escapes easy definitions. It is simply amazingly beautiful music. Siwan will perform at Nefertiti, Friday September 28th at 21.45. Concert Walk is a tailored event consisting of a musical program intertwined with site-specific surroundings blending art, music, nature, urban environments and cultural heritage into one seamless whole. SCENATET – Concert Walk will take place outside in Gothenburg, Saturday October 6th at 16.00. Starting place and registration to be announced. mir8, consisting of Werner Dafeldecker, Hilary Jeffery and Tim Wright, creates cinematic, abstract landscapes. For this occasion they are joined by pianist Simon James Phillips and drummer Tony Buck. mir8 will perform at Atalante, Friday October 5th at 19.30.